Junior Jake Cachila shooting a goal during a game. With only 32 seconds left in the fourth quarter, all eyes are focused on junior Jake Cachila. Swimming closer and closer to the other team’s goal, Cachila blocks out all the surrounding noise — cheers roar from the crowd and shouts from his teammates fill the pool as he takes the shot. 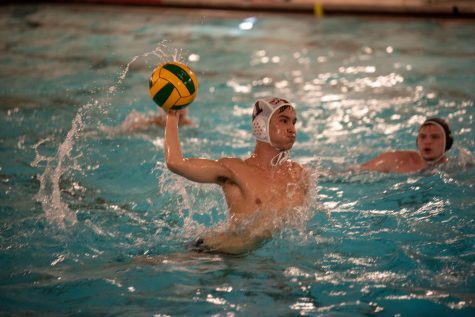 Just seconds after, all that can be heard is cheering from the pool and the bleachers, as the boys’ varsity water polo has won yet another game. At the start of his freshman year, Cachila knew that he was going to commit to three sports: cross country, boys swimming and boys water polo. Now a junior, he has done exactly that for his last three years at West. 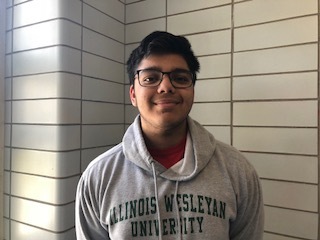 After finishing off his first year on JV, Cachila found out in the middle of his sophomore year that he was going to be bumped up to the varsity team for the rest of the season. Although this was exciting news, Cachila was conflicted since the rest of his close friends were going to be playing JV that season. A year after being pulled up onto the varsity team, Cachila was named a team captain. Playing alongside Cachila, junior Andi Veseli has formed a strong relationship with him, in and out of the water. Next year, Cachila hopes for continuous improvement and for a season just as successful as this year. Junior Jimmy Berg is looking forward to another year of playing and working hard with the rest of the team.